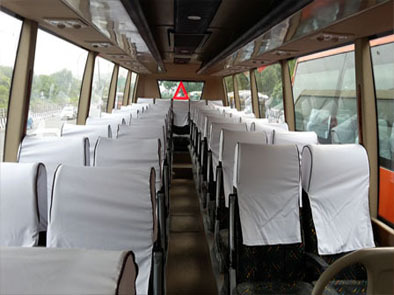 Ant Travels offer 41 Seater Bus on procure/rental administrations from Delhi to all Tour Packages like Delhi to Agra Tour Package, Shimla Manali Tour Package, Nainital Mussoorie Tour Package, Delhi Jaipur tour Package, Chardham Tour and Local Sightseeing tour In Delhi. 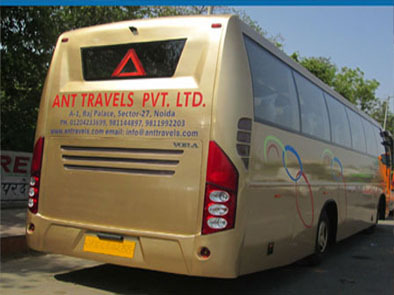 Ant Travels offer 41 Seater Ac semi volvo coach on hire in Delhi to Other city visit bundle for family occasions, 41 Seater Bus for shimla manali, Minibus on hire in Delhi to Agra same day tour, 41 Seater Luxury Coach Hire from Delhi to Rishikesh Tour Package and many more tourist places. For more info call: +91 9811992203.